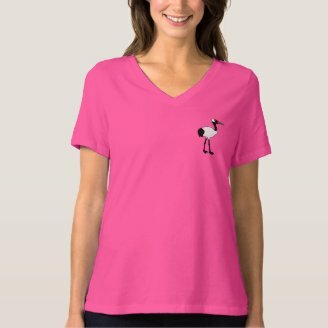 This week we're celebrating the world's cranes! 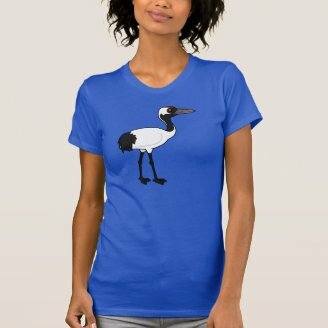 Crane Week highlights the 15 species of crane found around the world. 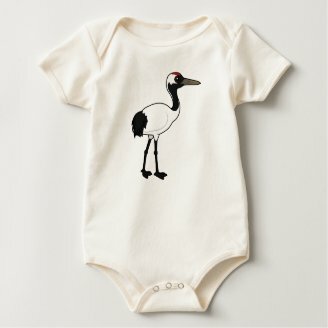 Today's post is a feature on one of the most endangered species: the Red-crowned Crane. 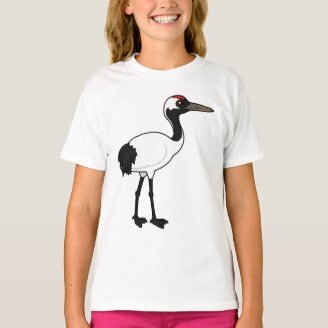 The Red-crowned Crane is named for the red "cap" of bare skin on the top of its head. The overall body plumage is white with black secondary (wing) feathers and black across the face and front of the neck. 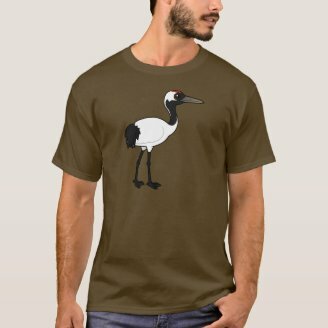 Like other cranes, the Red-crowned Crane is an omnivore. 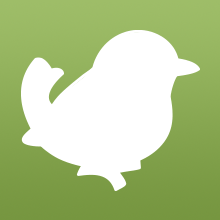 Its diet includes insects, fish, and small rodents, as well as plant material like reeds, corn, and berries. They tend to eat more plant material during the winter months and feed more on prey animals during breeding season. 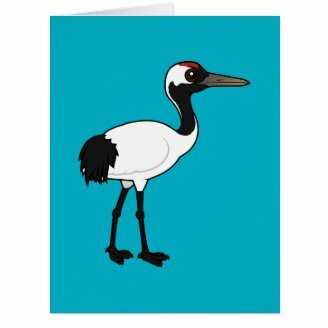 Red-crowned Cranes are considered to be endangered; the species has held this status since 1970. There are two main breeding populations: the migratory population of approximately 1200 birds found in eastern Asia; and a resident, non-migratory population of about 900 birds residing in northern Japan. The major threat facing the species is loss of habitat due to human development. 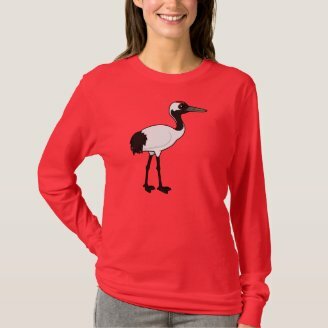 The Red-crowned Crane is important in Japanese culture. A pair of the birds are found on the 1000 yen paper note. The official logo of Japan Airlines features a Red-crowned Crane in silhouette with its wings extended. 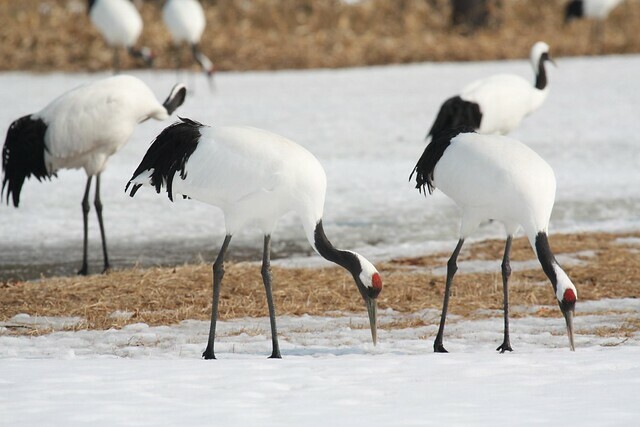 The Red-crowned Crane is also important in Chinese culture. The species is a symbol of nobility; in mythology it is associated with immortal beings. 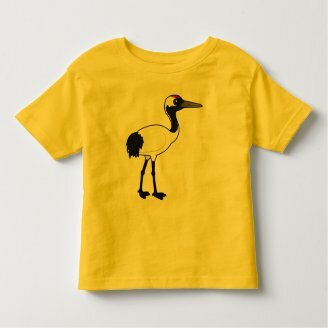 We added the Red-crowned Crane to Birdorable on March 16, 2015. 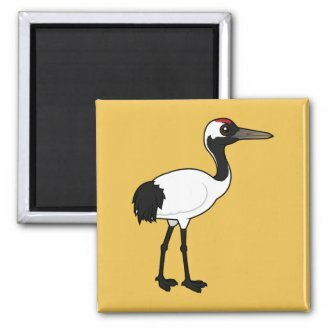 Be sure to check out our selection of gifts and novelties featuring our cute Red-crowned Crane! 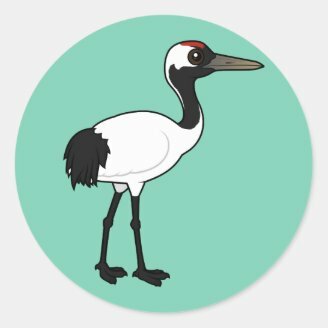 3 comments on "Species Profile: Red-crowned Crane"